Since the beginning of my career, ASMP has been an incredible resources for career advice, discounts on professional services, and a place for clients to find me nationally through the Find a Photographer service. In recent years, it has also been the perfect place to find and hire assistants when working on national campaigns in new cities. I'm excited to dive in and help out my fellow members of ASMP! As has become our tradition, my wife and I decided to take a mid-winter break and visit a warm place we've never been before. After getting some good advice from our friend Christine (check out her travel blog! 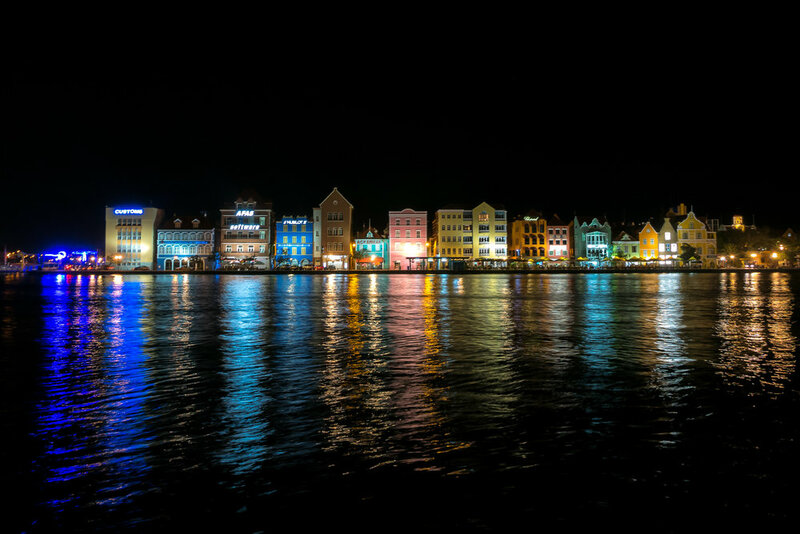 ), we decided to check out Curaçao! One of the things that attracted us the most about Curaçao was that it wasn't just beaches. It has an incredible historic downtown featuring colorful facades along waterways, just like you'd see in the Netherlands. Of course, the beaches were awesome, as well. We tried a number of different local beaches, some well-known, some less. We also opted for a day at Baoase Luxury Resort - you can pick up a day pass and get access to their beach, complete with luxury cabanas, food and drinks. We also spent a morning doing some dives - you can see those photos here. On our last day, we dove a bit into the culture and did a walking tour of the historic downtown area with our local guide, Emlyn. He was a treasure trove of information and it was such a valuable experience - I highly recommend it if you want to actually get to know the culture and history behind the island. Also, we capped off the tour with a tasty lunch at a local market, our last meal in Curaçao and the perfect send off. For a list of the different places we went, you can visit my wife's travel blog, Perhaps Patagonia. Many thanks to the Curaçao Tourism Board for the tour! I've been a certified open water scuba diver for over 5 years now, but up till now, all my underwater media was done on various GoPro cameras. On our recent vacation to Curaçao, I decided the time was right to try out some underwater photography using a better camera. Given the price of most underwater housings for DSLR cameras, and my relative inexperience, I decided it didn't make sense to invest too heavily at this time. Luckily, after chatting with the folks over at Ikelite, it turns out a camera I already own is one they recommend, the Leica D-Lux Type 109. I picked up the housing and a red filter (helps control the color cast in tropical waters) and familiarized myself as best I could with the ins and outs of using it. We did two dives in Curaçao, one called "Tugboat" and the second we went diving under a giant decommissioned oil tanker. I shot all these with no strobes, as I wanted to focus more on the atmospheric feeling one gets underwater rather than the underwater sea life. Overall, I was pretty amazed at how well the camera & housing performed. It certainly adds a bit of heft when traveling, but underwater it was simple to use. The Leica also did amazing with no artificial light sources, with many of these images shot at 6400 ISO! Can't wait for our next diving trip to try my hand at more underwater imagery! With the current Winter Olympics finally coming to a close, and my recent trip to Jackson Hole, I've been thinking a lot about my time as a ski bum. Looking back into the archive and found a few photos from a backcountry day I took with my buddies Trevor (who is an incredible photographer too!) and Rush. I can't believe I took these photos TEN YEARS AGO. Wow, how the time flies. Every year I try and go through my photos and pick out my top 100 personal favorites. Not the photos that I got paid the most for, or the ones that got the most likes on Instagram. Just the ones I loved the most. I was surprised to see how many different cameras I used to capture these images, including my iPhone! Here they are in video form - enjoy! I recently was asked to shoot a new collaboration between two brands I highly respect, Leica and Peak Design. If you know me, it's no secret that I'm a huge fan and user of Leica cameras and lenses. 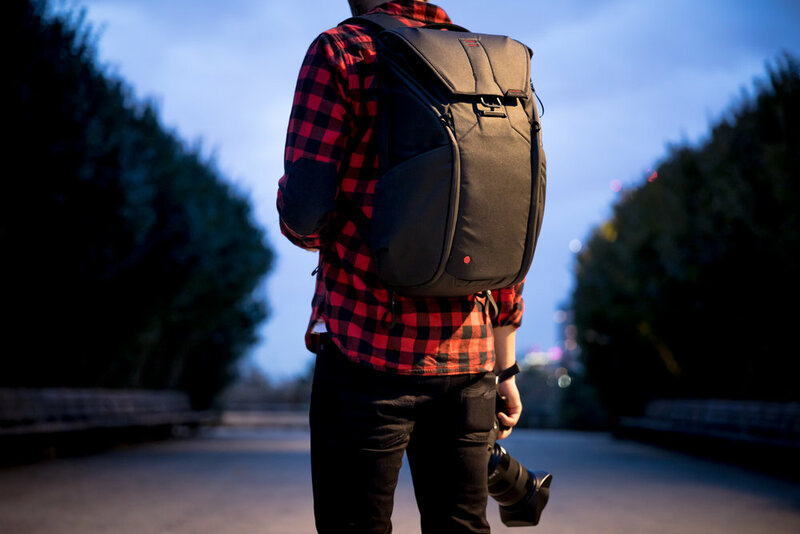 Peak Design has been producing bags and camera accessories for a few years now, and their products are well researched, with real input from photographers. When these two companies decided to produce a limited edition bag together, I knew it was going to be a slam dunk. FTA 01: Happy Halloween & Dia de los Muertos! Wanted to take this lovely holiday season to start a new feature here on the blog: FTA or, From the Archives. First up, these lovely men and women (yes, many men dress up as women in Mexico for Dia de los Muertos) from La Paz, Mexico. This series was taken in November of 2014. Scotland in the fall: crisp weather, warm whisky, and all of the colors. I recently got offered a chance to visit Scotland for the first time, thanks to my new friends over at William Grant & Sons. Although I only had about a week of time to explore, I tried to pack in as much as possible. Although Aberdeen doesn't get a lot of love as a must-visit city in Scotland, it's a great embarking point to visit Speyside and Northern Scotland. The city itself has a charm to it as well, reminding me of an old port city you'd find in the NE of the US. I teamed up with my buddy Kyle who happened to be in town for a few hours of exploring. If you don't know what Speyside is, well, I didn't either. It's a region in Scotland that's well-known among whisky lovers for the scotch it produces. A lot of the big names are here, (including many of WG&S's whiskies! ), but it also has many small distilleries that dot it's picturesque landscape. After spending a couple nights at the Grant's Distillery and Balvenie Castle, I visited a few other distilleries with some new friends and spent the night in the small town of Craigellachie. After just a few hours in Inverness, it completely stole my heart. This beautiful little city is in a prime location for exploring Loch Ness (which I didn't get a chance to do this trip!) and was also a great rest stop for my journey northward. Witnessing the sunset in this little town, walking along the river and watching the colorful leaves flutter in the breeze, was enough to convince me to come back soon. As a total novice when it comes to shooting the Northern Lights, I found out that it's relatively rare to see them from anywhere in the UK. I'd been reading up and found some websites to follow that tracked the likelihood of the lights being seen and thought there might be a chance if I just got as far north as I could. Heading north, we decided to stop in the small town of Castletown, which had a beach area you could walk out too. Incredibly, luck was on our side - bucket list item, check! It just wouldn't be a visit to Scotland without visiting a castle, so on the final trip back to Aberdeen and my flight home, I stopped in to visit the "small" castle of Dunrobin. Looking forward to seeing more castles, drinking more whisky, and seeing MUCH more of Scotland on my next visit! Last week I was invited by my good pals at Leica & ONA to host a photowalk at the annual Photoville show in Brooklyn. Leica was generously letting people borrow cameras and ONA kindly had a bag up for raffle as well. We had a great turnout - it was hard to keep track of everyone and answer all the great questions, but I did my best! Thanks to all my friends that took the time to show up as well and join in on the fun. The light cooperated perfectly and I even had a chance to grab a few photos myself. Looking forward to next year's show! Nothing is more summer in New York City than LEAVING the sticky city behind and heading out on a weekend retreat. Luckily, our good friends Bill & Sabry have the perfect house on Lake Henry in Pennsylvania. Even luckier, they invited us out for a weekend of relaxation! Bill & Sabry have been working on this dream house for years, and it shows. They patiently waited for this dream property to come up for sale, and once they purchased it, they set about updating it to their exact specs. With an obvious love for modern, clean design, the house is open and full of light, both in the mornings with the sun rising through the main windows, or the pink glow of the perfect sunsets. By far one of our favorite touches on the house was the dock they designed. With space to dine, and a giant day bed for lounging on, it's no surprise we fell asleep out there one night and only woke up to drag ourselves to our bed. Thanks for the wonderful time guys!